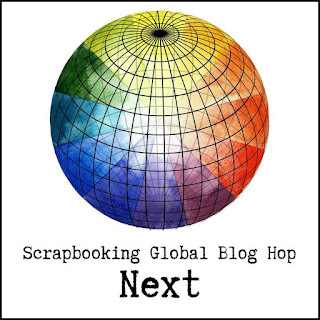 I often, actually almost always, start with a sketch when I scrapbook. Sometimes my layout ends up looking very similar to the sketch and sometimes it ends up looking nothing like it. But I find it helpful to start with an idea. If I just have a piece of cards and some photos in front of me, I feel lost. I need a plan and a sketch provides me with that plan. For those of you who are new to my blog, all month long I've been focusing on a different package of dsp from the Buy 3, Get 1 Free dsp promotion. This weeks dsp is the Tropical Escape - this is a fun package of paper and perfect for documenting our trip to Fiji a few years ago. Even after being married 23 years, my husband still makes me laugh. When we were in Fiji we found these fabulous trees with what looked like monkey lips growing out the side. These photos were the result of finding those trees! 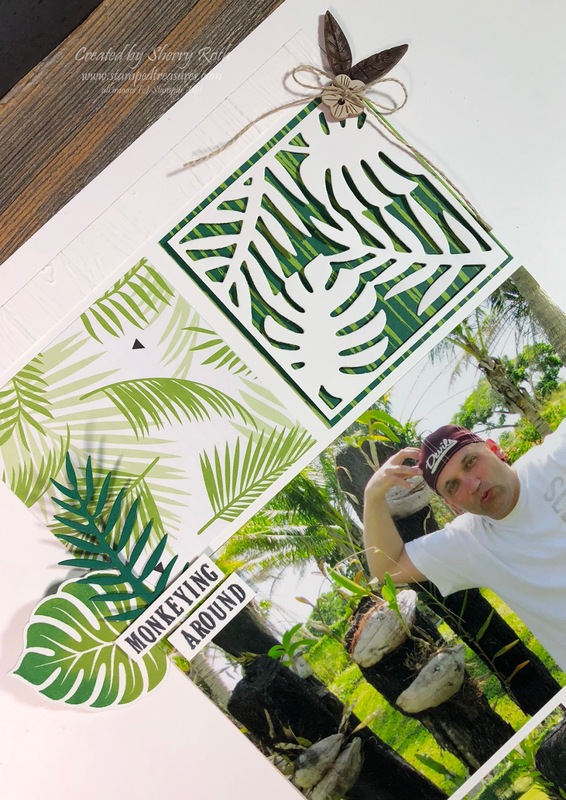 The tropical chic bundle and tropical escape dsp are the perfect products to scrapbook these photos and I look forward to doing the rest of our Fiji trip using the same grouping of products. I actually liked this sketch so much I ended up creating two, very different layouts with it. 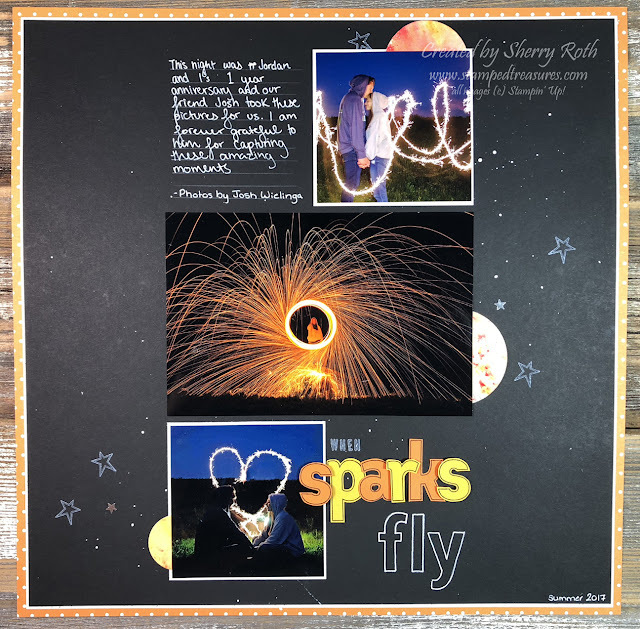 This When Sparks Fly layout was the second one. I used some retired dsp as the background and the half circles are pieces punched from some experimenting with Brusho. 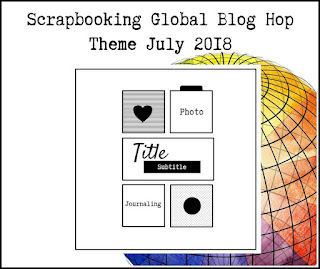 I love using bits and pieces of things that are on my desk when I scrapbook! Is anyone else like that? On this layout I also had my daughter choose the title and do the journaling since the layout includes photos of her and her boyfriend. 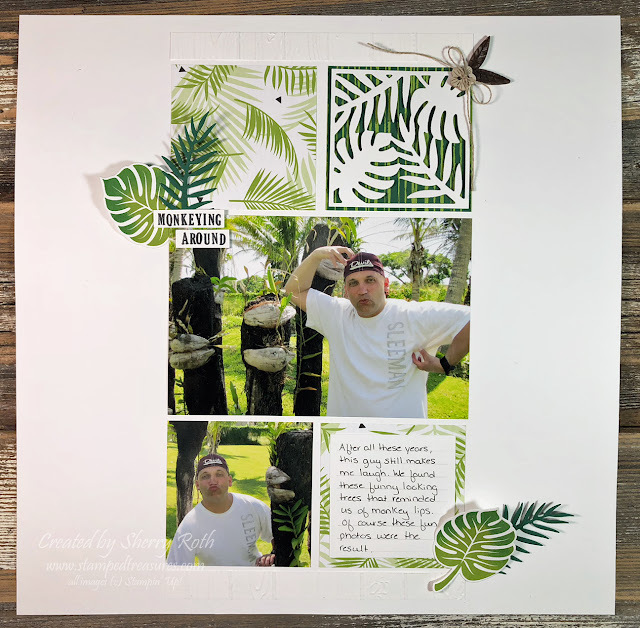 This is a layout that will go in her album, not our family album so it seemed appropriate that she do the journaling. 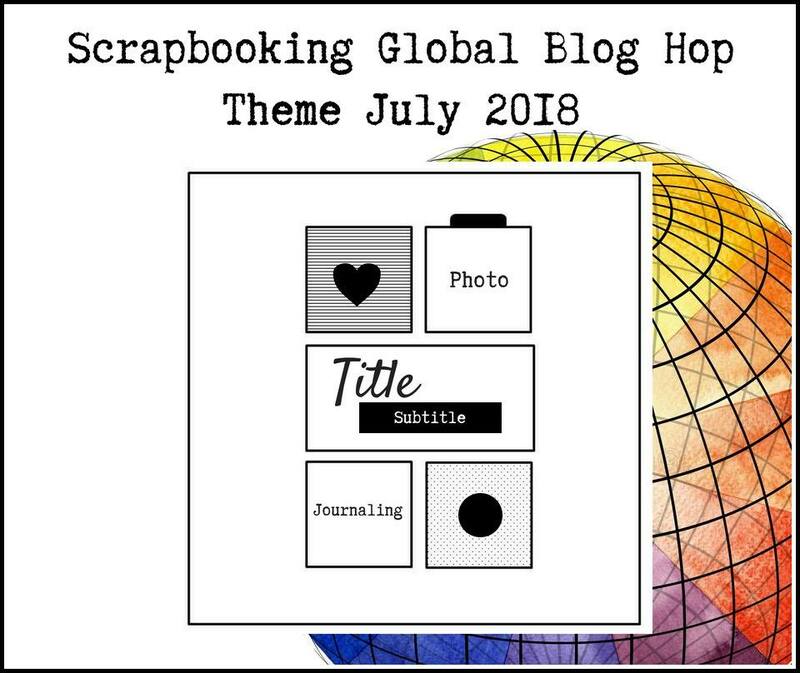 Thanks so much for stopping by my blog today, there's lots more inspiration to be seen so be sure to click through everyone's blog so you don't miss out on any of the fabulous layouts! If you are traveling through in order, Sigrid Wille is next! Here's a list, and links, for all the participants. Enjoy!